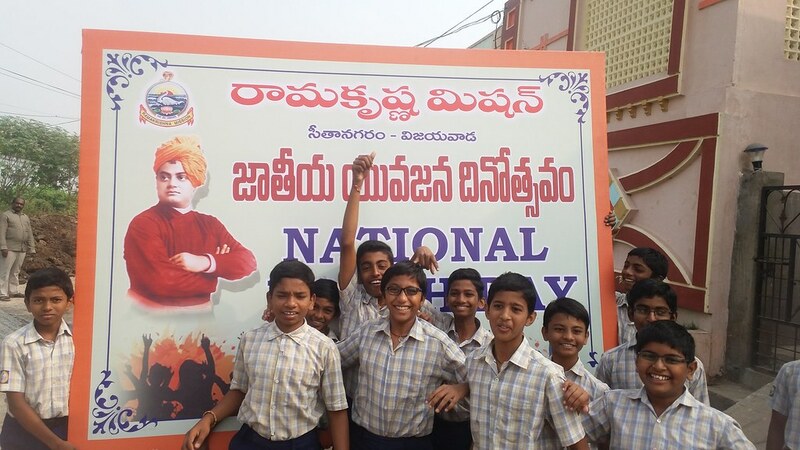 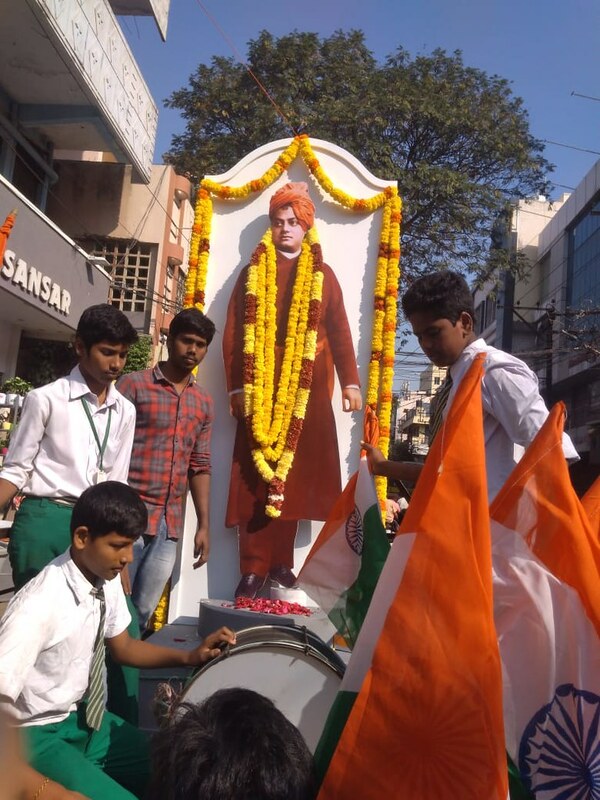 In connection with the National Youth Day , Ramakrishna Mission, Vijayawada conducted various programmes on 12 January 2019. 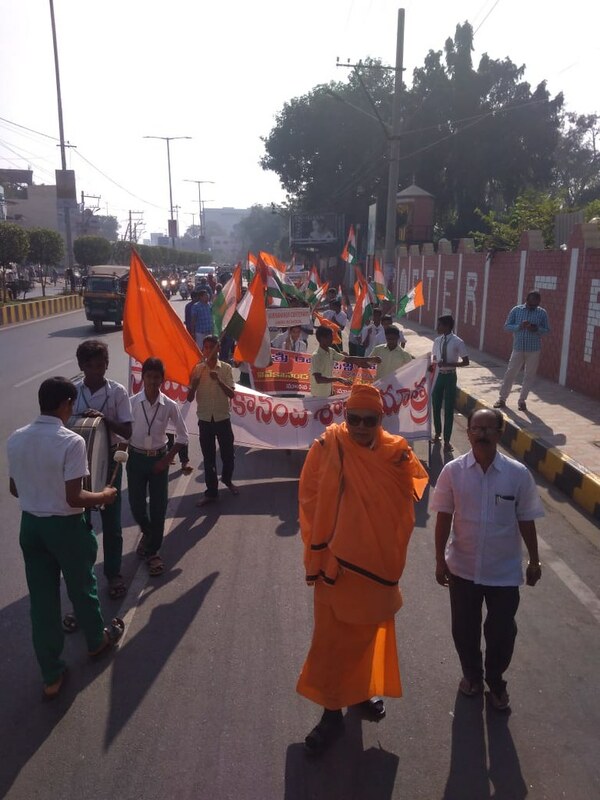 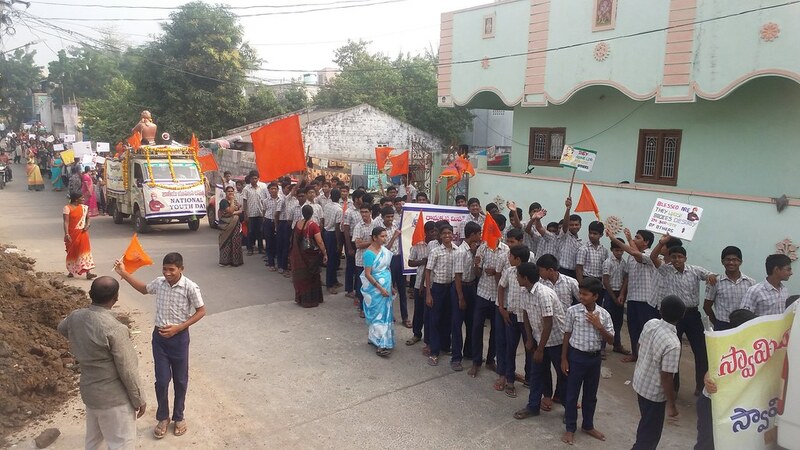 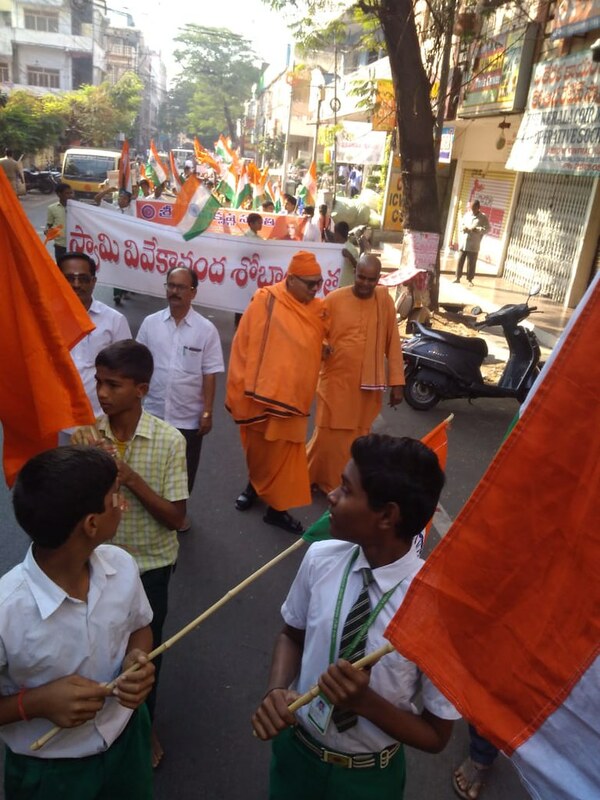 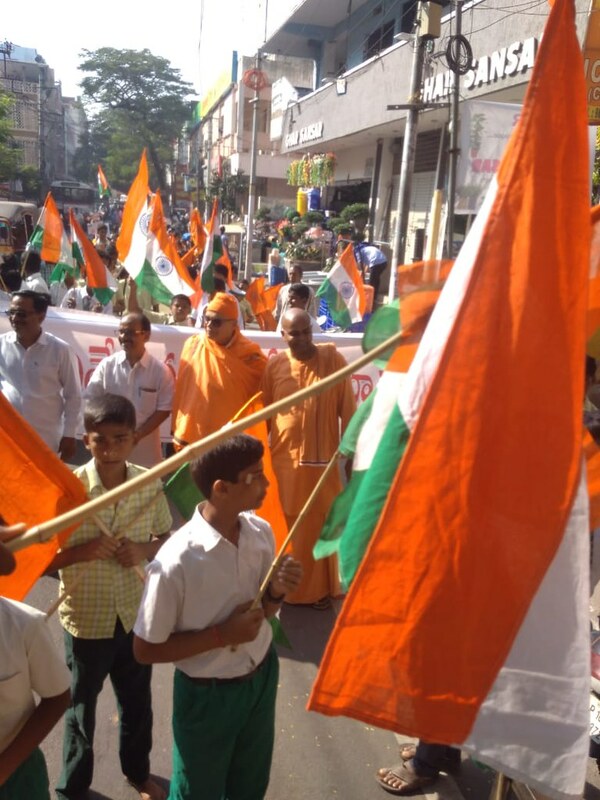 The Ashrama conducted the Second Shobha Yatra at Sitanagaram starting from the Ramakrishna Mission High School, going around the locality and returning back. 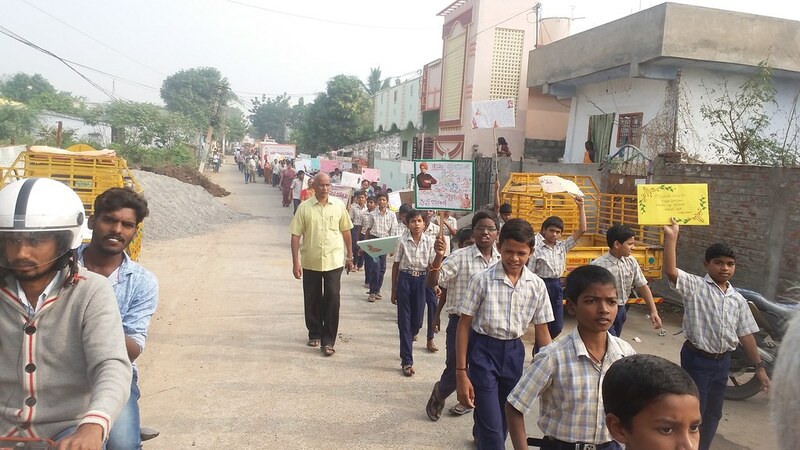 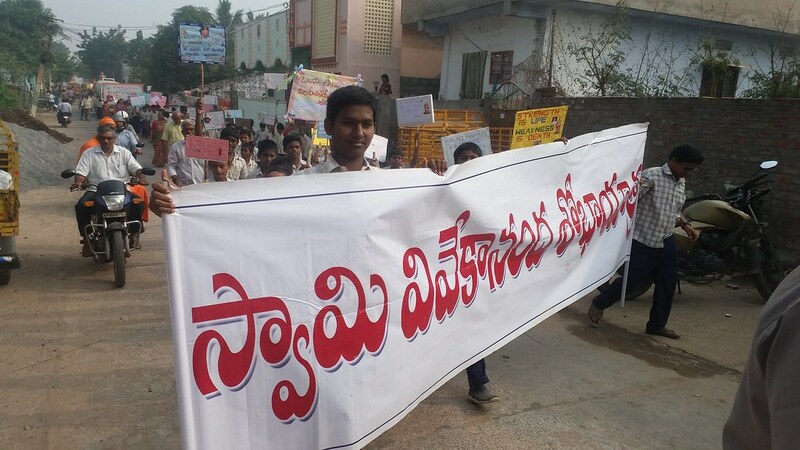 600 students and teachers of Ramakrishna Mission High School, Sitanagaram and devotees participated. 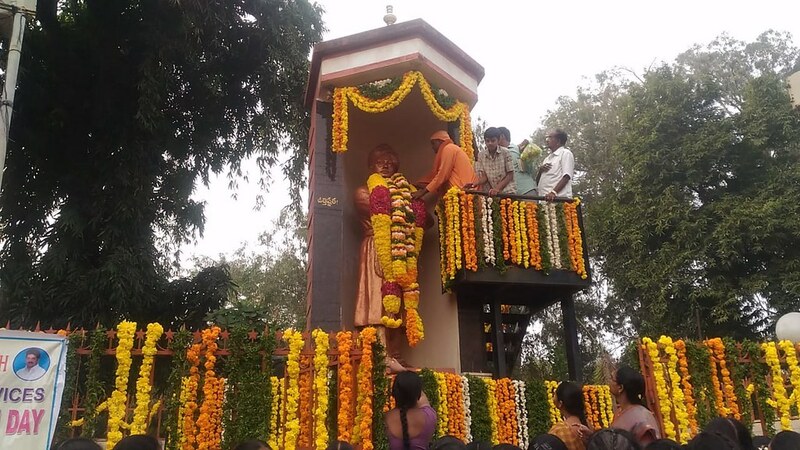 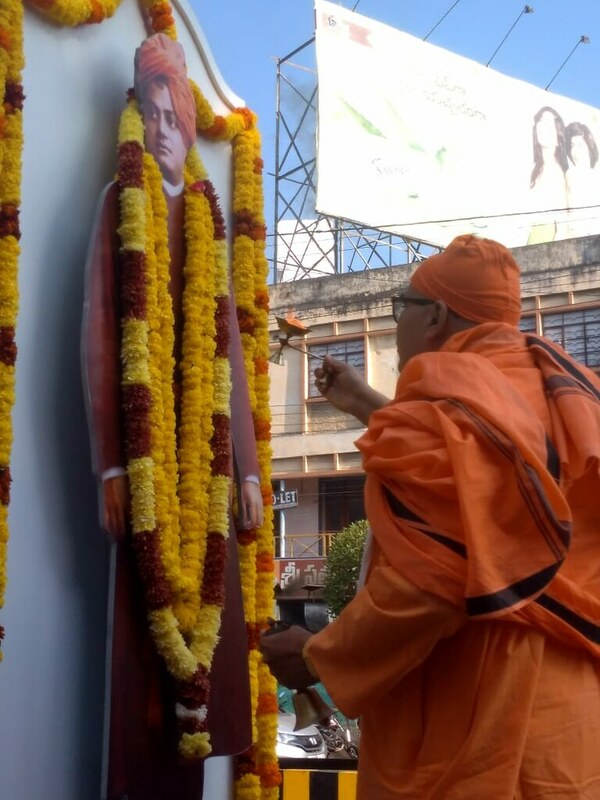 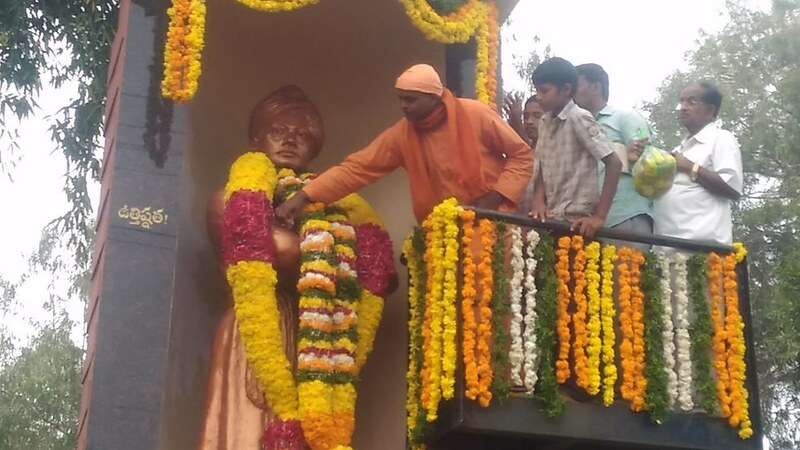 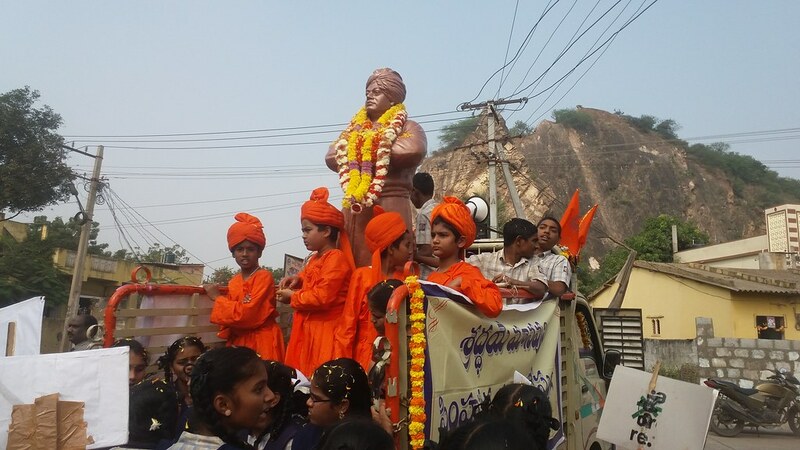 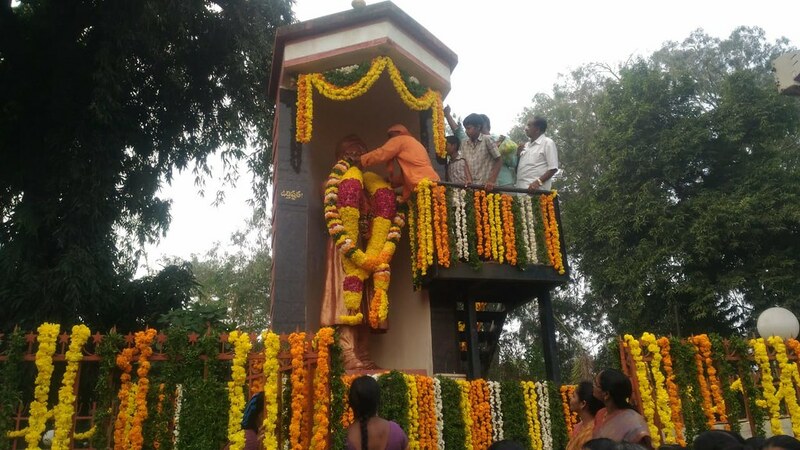 Swami Sannivasananda of Ramakrishna Mission, Vijayawada garlanded the Swami Vivekananda’s statue at Raghavaiah Park, Vijayawada. 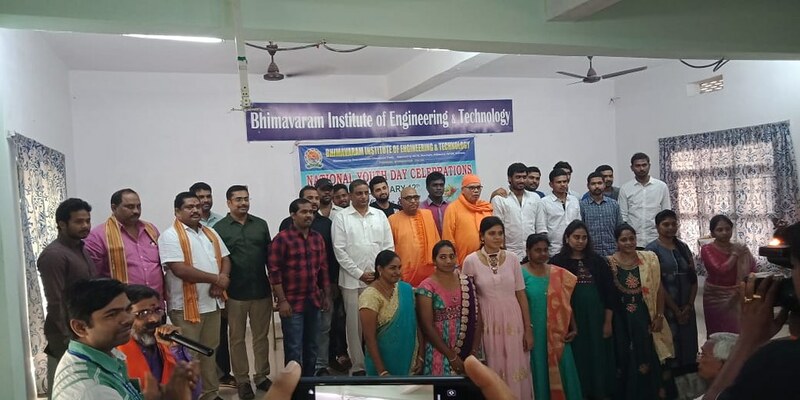 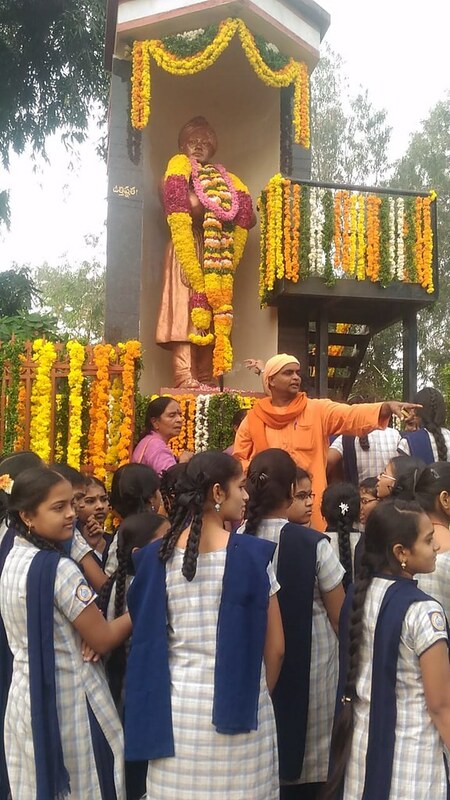 Swami Sashikantananda, Ramakrishna Mission, Vijayawada and Swami Sudarshanananda, Ramakrishna Math, Ulsoor, Bangalore inaugurated the Swami Vivekananda’s statue at Bhimavaram Institute of Engineering and Technology, Pennada, Bhimavaram, West Godavari District. 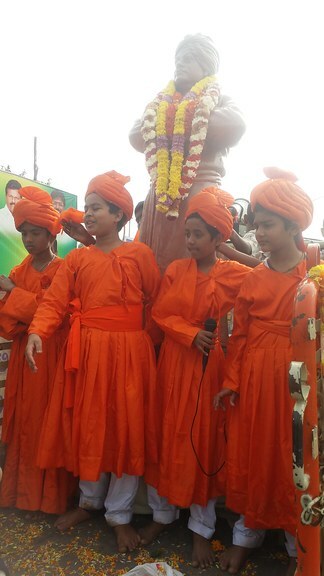 400 youth were addressed. 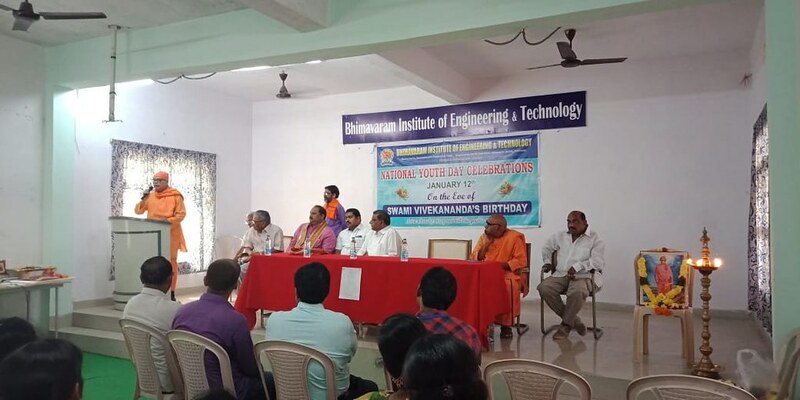 Swami Sannivasananda, Ramakrishna Mission, Vijayawada addressed the youth at Sri Vasavi Institute of Engineering and Technology, Nandamuru, Pedana, near Machilipatnam, Krishna District . 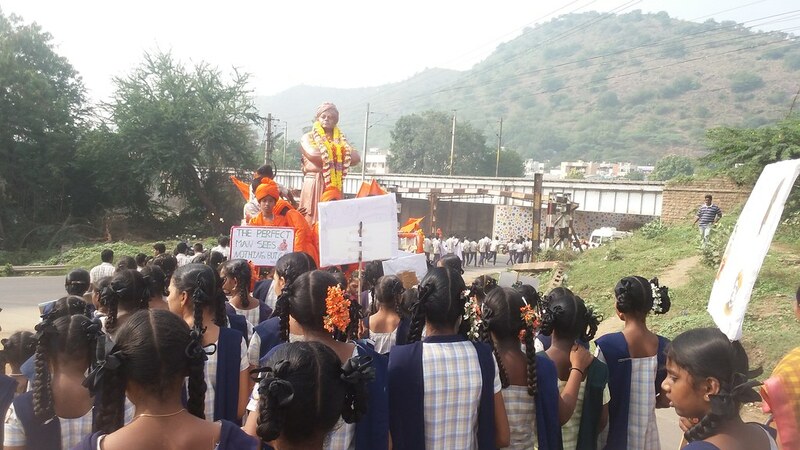 200 youth were addressed.